p class= »MsoNormal »> December 18, 1944. 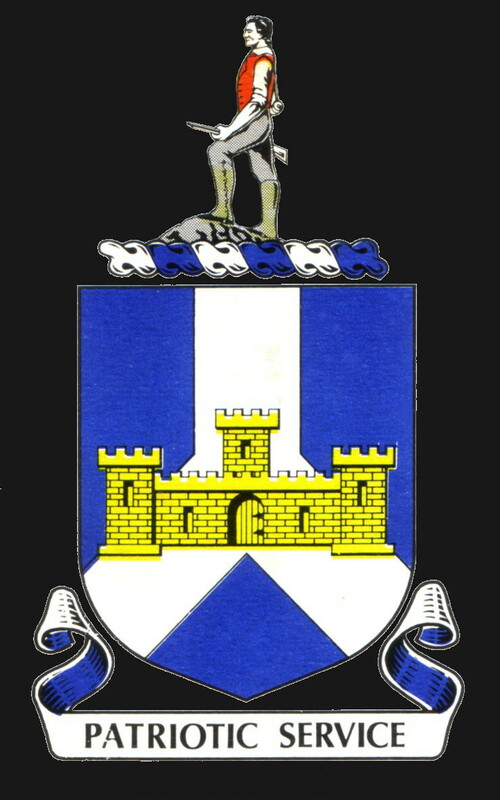 As part of the 395th RCT, the 2nd Battalion, 393rd Infantry had retreated the previous day from a steep, forested hill captured at great cost from the enemy’s West Wall defenses. After the retreat, the 2nd Battalion had orders to defend the edge of a forest northeast of Krinkelt-Rocherath and tie in with units on both flanks. The men dug shallow foxholes and waited. Despite sporadic small-arms and artillery fire, the Germans made no serious attempt to attack the battalion. In the late afternoon, a withdrawal order arrived from higher headquarters, and the entire 395th RCT, with the 2nd Battalion still attached, pulled back toward Elsenborn. Upon reaching Elsenborn, the retreating column was stopped and ordered to return to the position from whence it came. 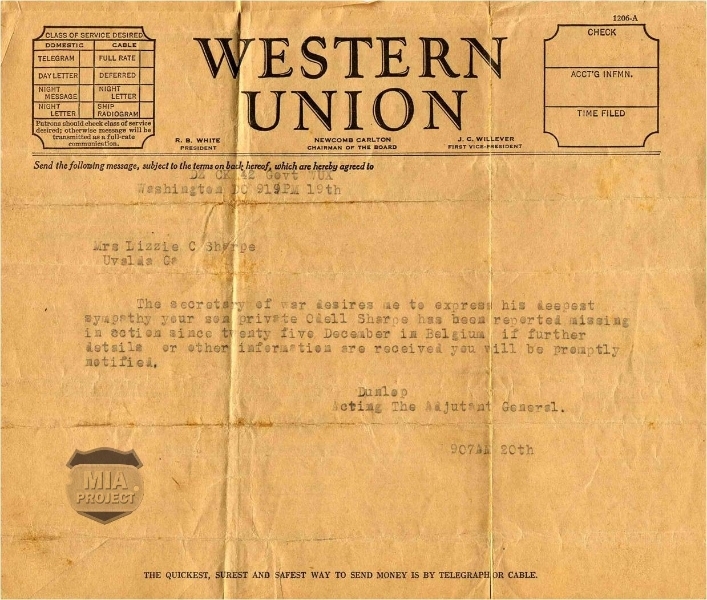 A radio message had been misinterpreted, and no withdrawal order had been issued. It was dawn on December 19 when the 2nd Battalion reached its original position. The troops discovered the Germans had failed to take full advantage of the situation. Some enemy infantrymen were in the positions, but a bayonet charge quickly ousted them. As the machine gunners of Company H reoccupied their positions, incoming shells descended on them. An American tank destroyer outfit had been misinformed about the troop movement and opened fire. 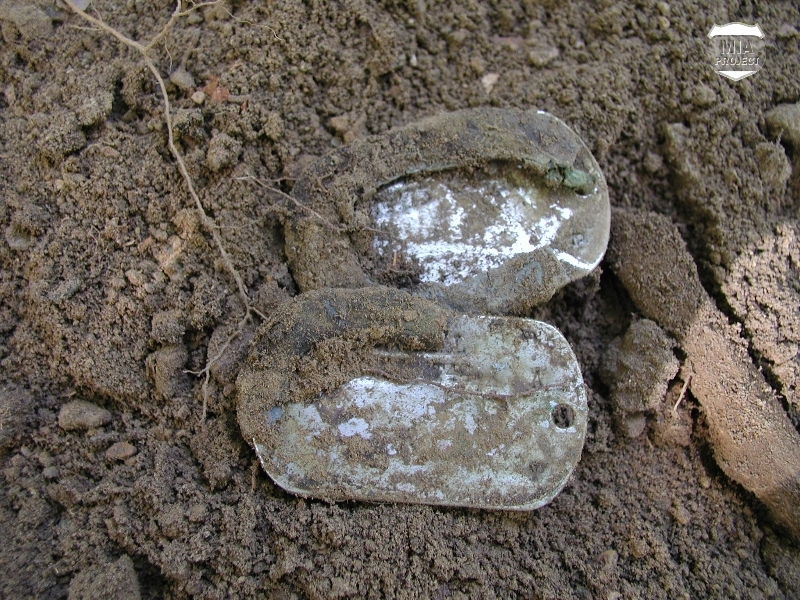 The men pressed themselves to the bottoms of their holes as shell fragments, rocks, and dirt filled the air. The barrage lasted half an hour. 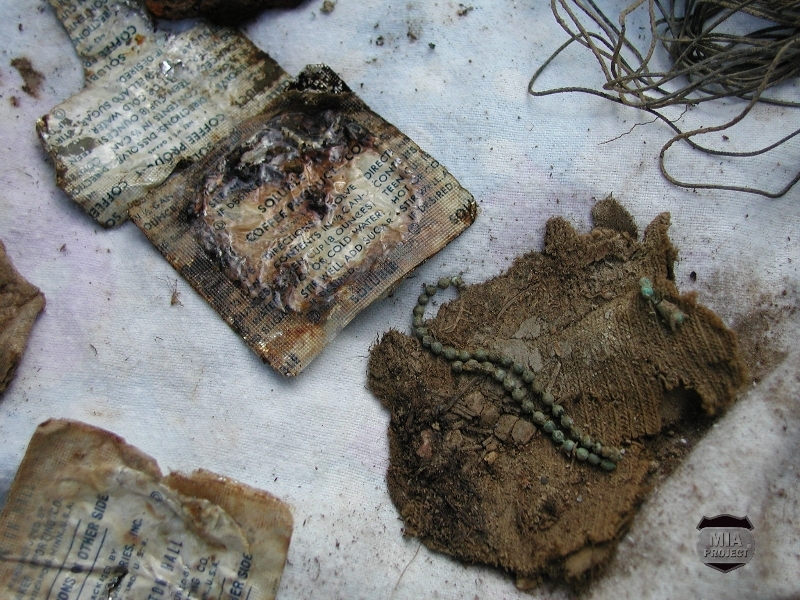 When the smoke cleared, dazed GIs crawled from their holes, and there were shouts for medics. 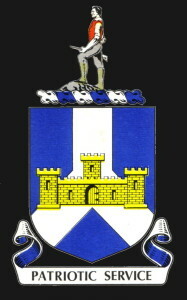 Company G had seven men killed in the fratricide episode and two soldiers severely injured. Company H lost ten men: two dead, seven wounded, and one missing. The missing man was Odell Sharpe. A few hours later, the battalion received an order to pull back again. This time the order was authentic. As darkness fell, the weary troops trudged west to establish a new defensive line on Elsenborn Ridge. 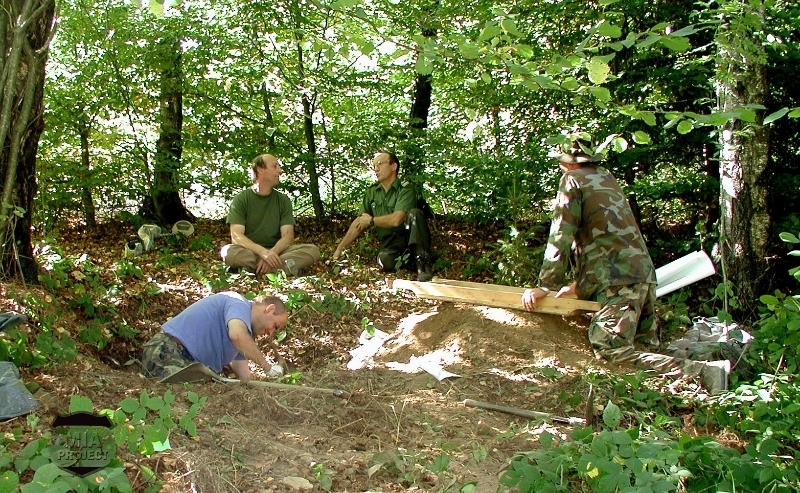 After the recovery of six MIAs in 2001, the MIA Project team focused on five other cases, all relating to the 99th Division. On September 16, 2003, Jean-Louis Seel planned to search a remote sector where two of those MIAs were last seen. Unfortunately, that area lay in the Camp Elsenborn security zone, and that morning it was off limits because of live-fire exercises. 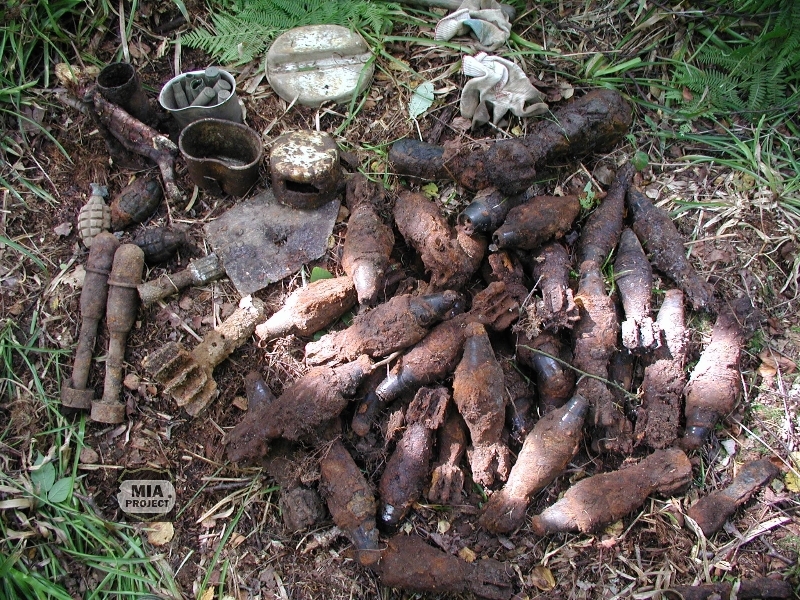 Seel changed his plan and ended up where the team had found a large amount of American equipment a few years before. 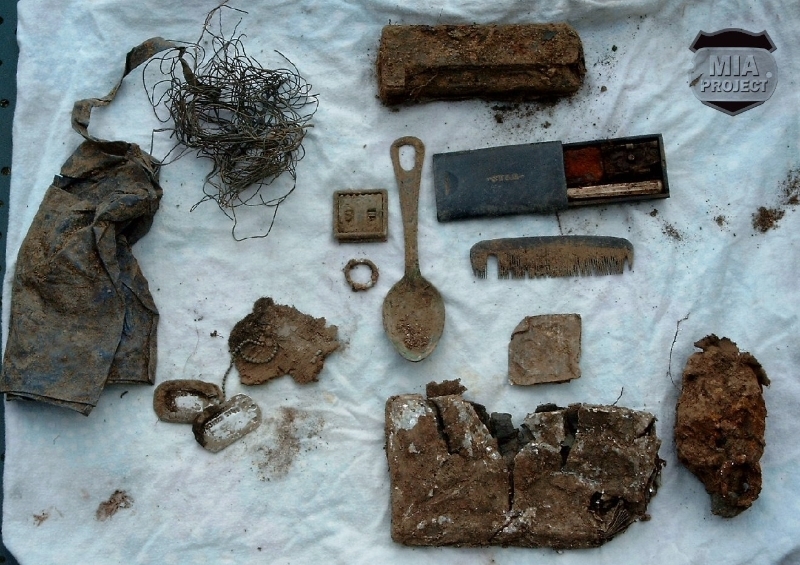 Searching the banks of a dry creek bed, he came across more equipment. 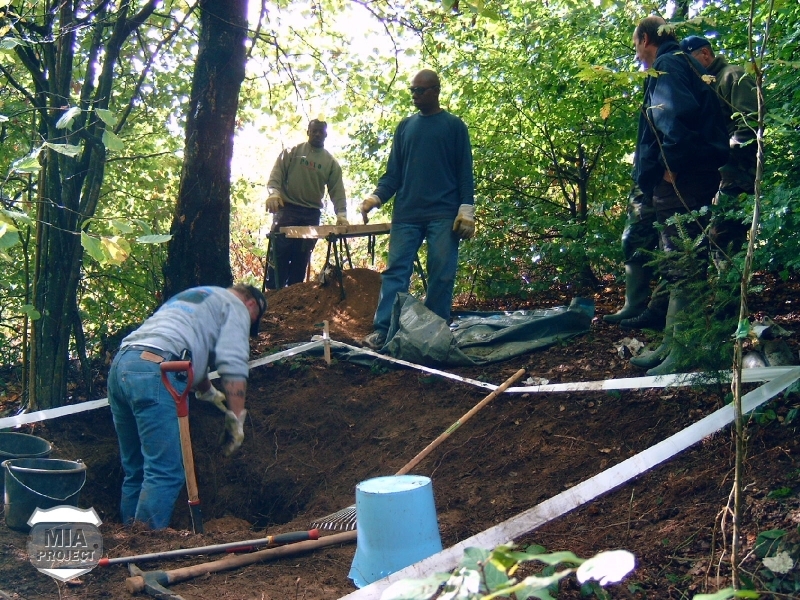 At one spot, the creek bed sloped uphill to a small terrace where stood three shallow depressions that had apparently been foxholes. 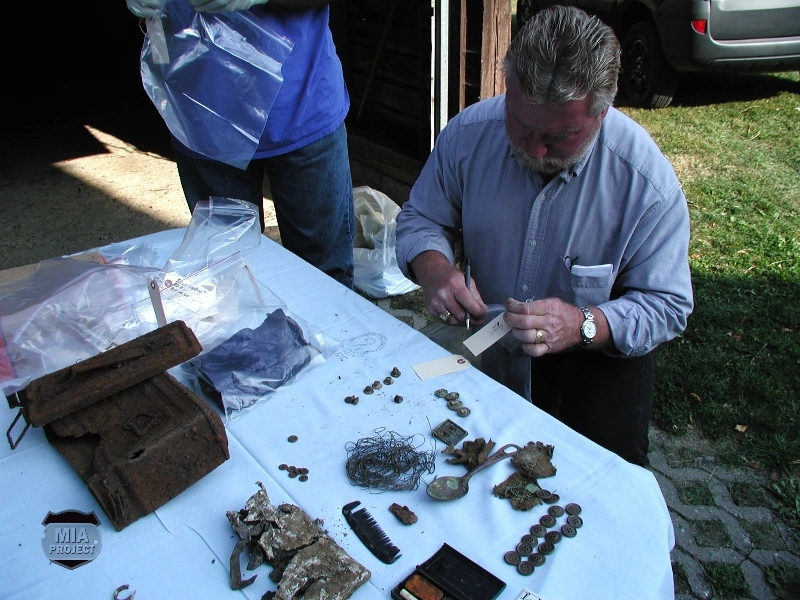 Seel’s metal detector pinpointed more equipment in the first two holes, but in the third one a human tibia emerged among machine gun parts. 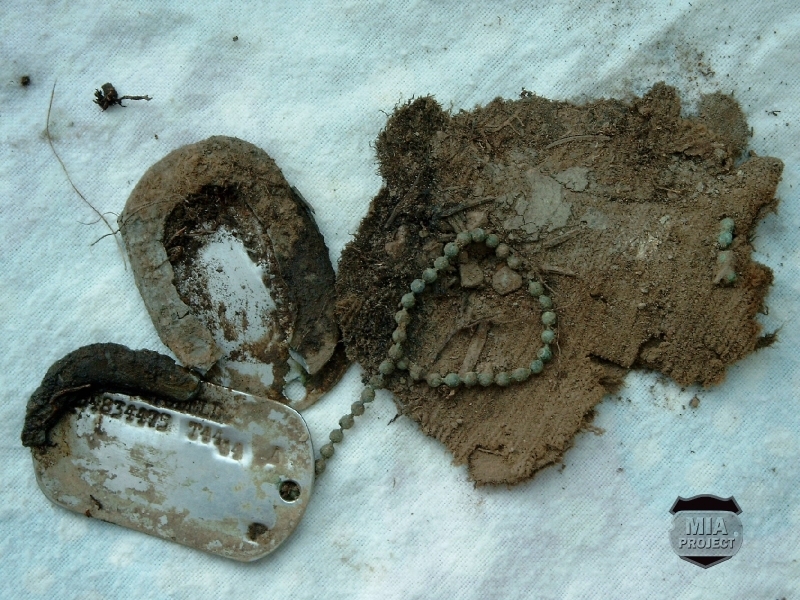 Soon afterward, dog tags appeared. They read: Odell Sharpe. 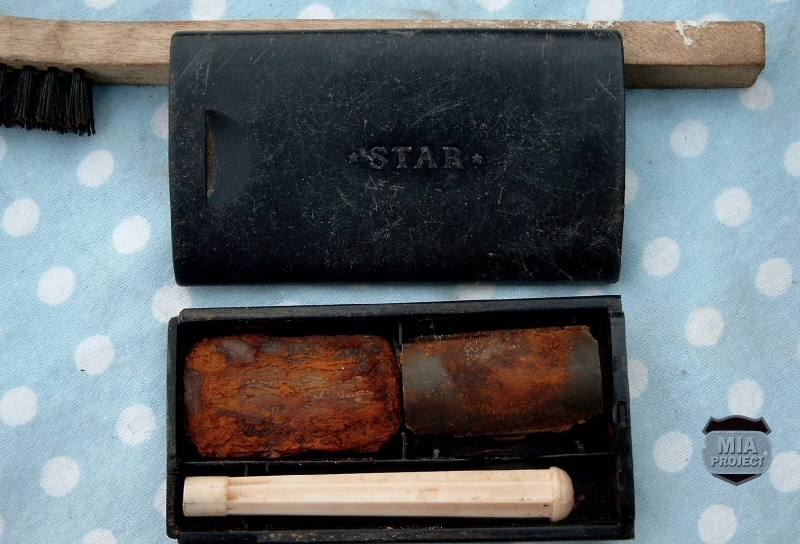 Seel called his teammates, and, within an hour, Speder and Menestrey arrived with excavation equipment. 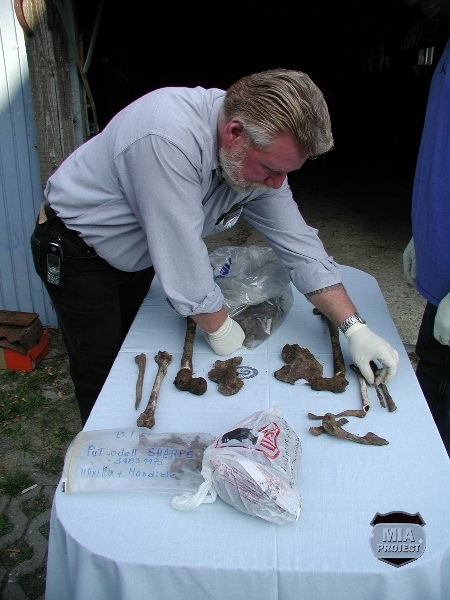 At the end of the day, the group had removed all the remains and transferred them to Forest Ranger Hönen in Rocherath. Nobody o n the team had ever searched for Sharpe because they had no information about the place and circumstances of his death. 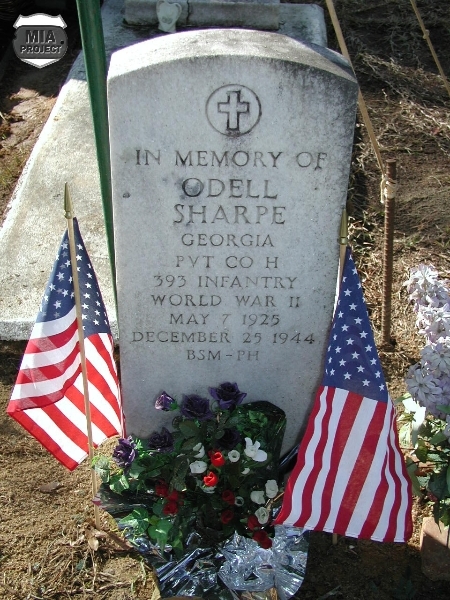 Moreover, Sharpe was reported missing on December 25, 1944. 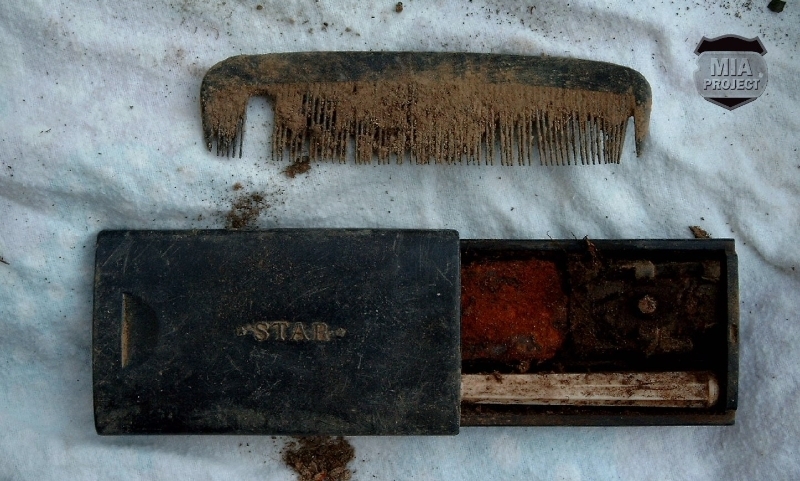 On that date, his company occupied a defensive position several miles west of where his grave was just located. The recovery was a complete surprise. 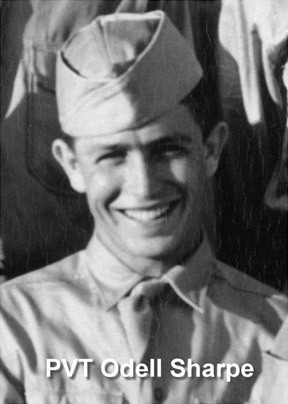 No eyewitnesses to his death were found among veterans of Company H, but Warnock solved the mystery. He had the company morning reports obtained from the National Personnel Records Center in St. Louis. One of the reports showed that Sharpe was initially listed as missing on December 19. But someone in the company had crossed out the date 19 and wrote 25 above it. No reason was given. That change altered Sharpe’s date of death and misdirected all search efforts. 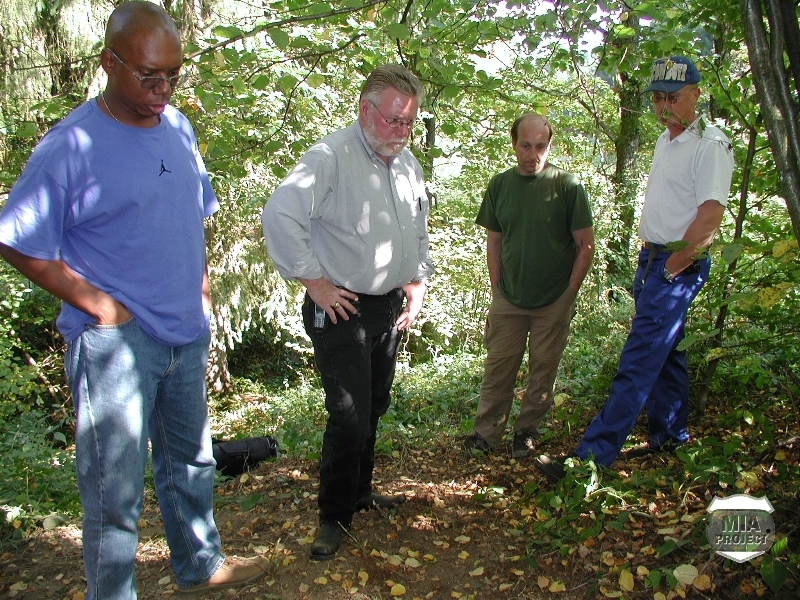 After the forest ranger took possession of Sharpe’s remains, the U.S. Memorial Affair Activity Europe (USAMAA-E) was notified. 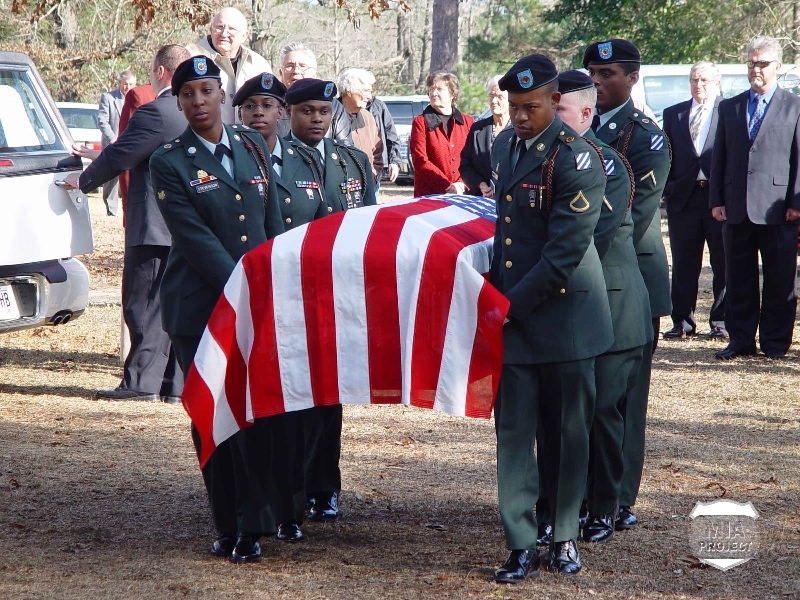 At the time of the recovery, the U.S. Army was fighting another war, and David Roath, USAMAA-E chief, was operating a mortuary in Baghdad. He delegated the Sharpe case to his subordinate, Mark Baldwin, a medicolegal death investigator from Oklahoma. 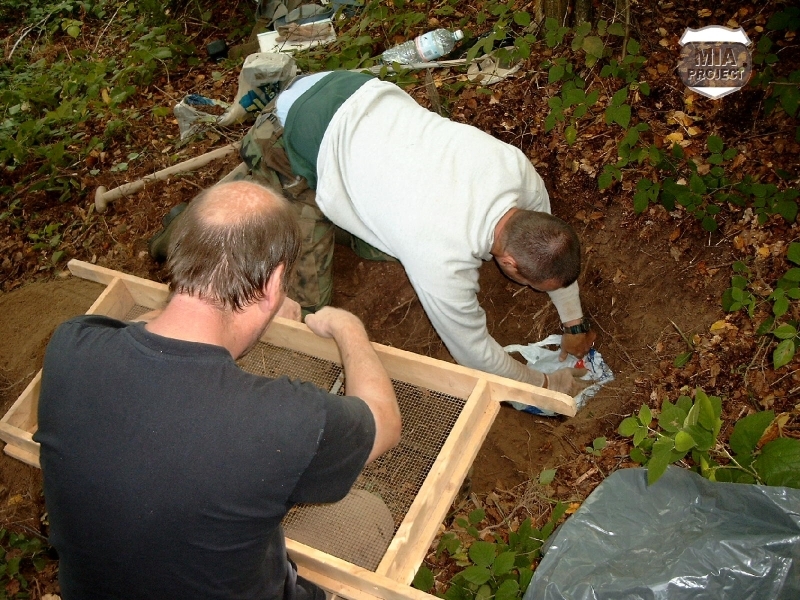 Baldwin’s search-and-recovery team arrived on October 2, 2003, and enlarged the hole but found nothing more. 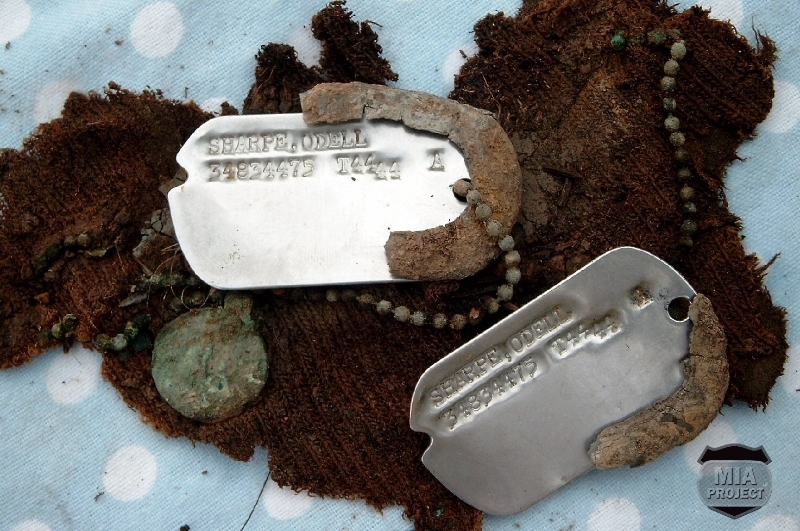 Despite two dog tags and shreds of American clothing–all considered circumstantial evidence–Baldwin had to establish that the remains were American before taking custody of them. He needed Sharpe’s Individual Deceased Personnel File (IDPF). 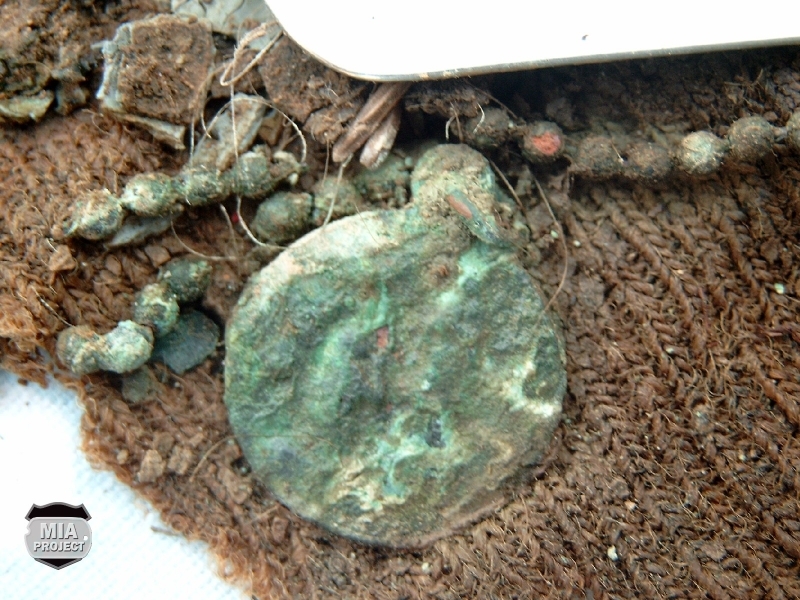 The MIA Project team had not previously requested the file. Baldwin did so now. 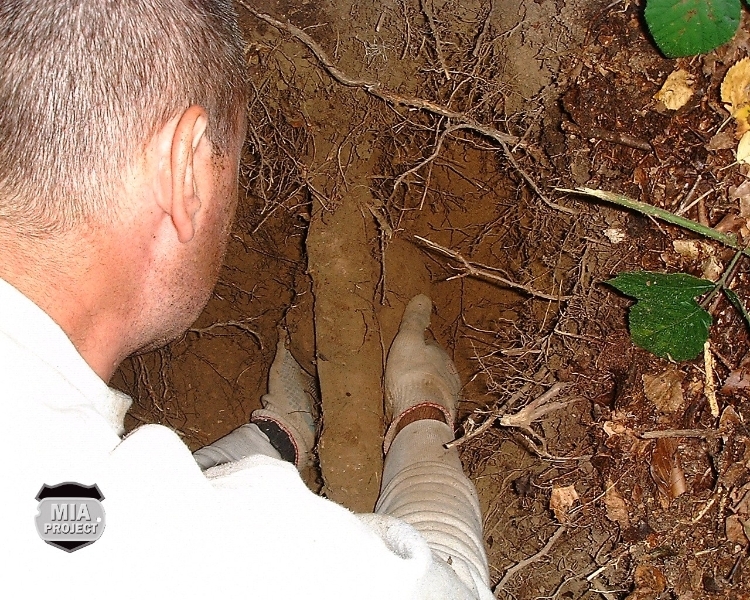 Without the IDPF, no legal transfer of the remains could take place, and they stayed with the forest ranger. 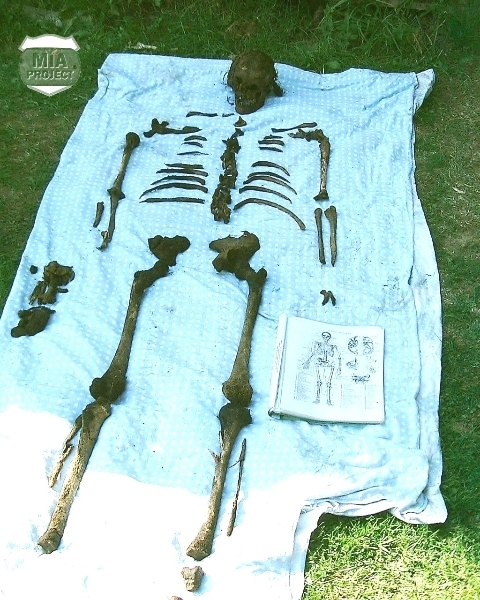 Sharpe’s remains stayed there throughout the winter and early spring. Baldwin repeated his request four times before a staffer at Human Resources Command finally sent the file. 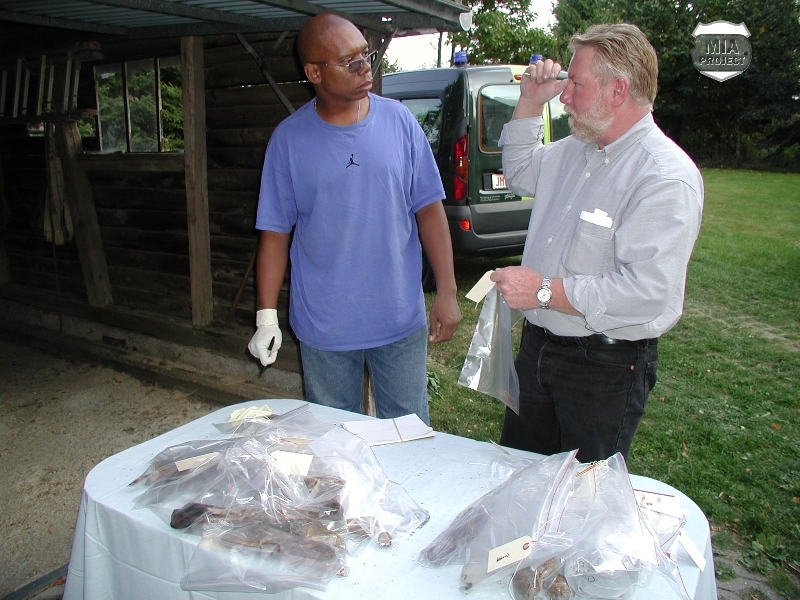 The IDPF contained dental charts and other information that established the basis for a transfer of custody. 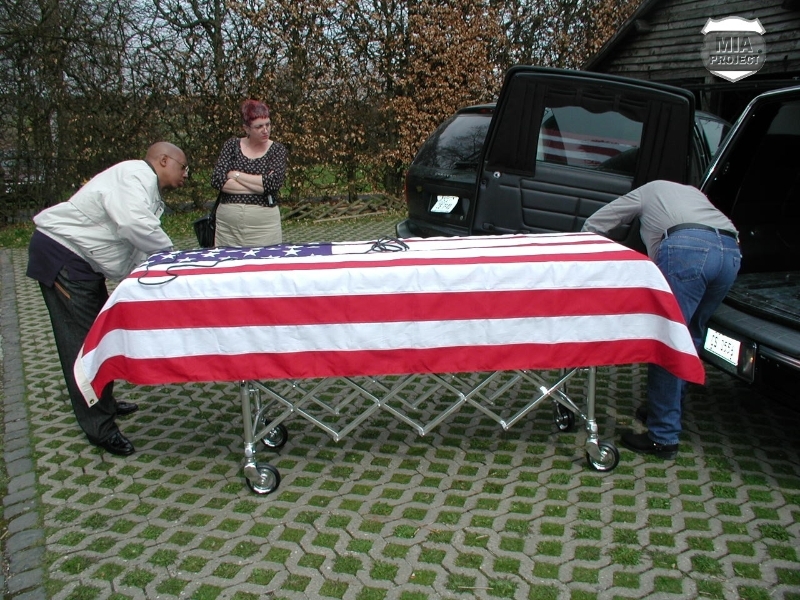 Baldwin executed the requisite paperwork at the seat of local government in Büllingen, and a fallen soldier ceremony took place at the Krinkelt church the next day, April 29, 2004. 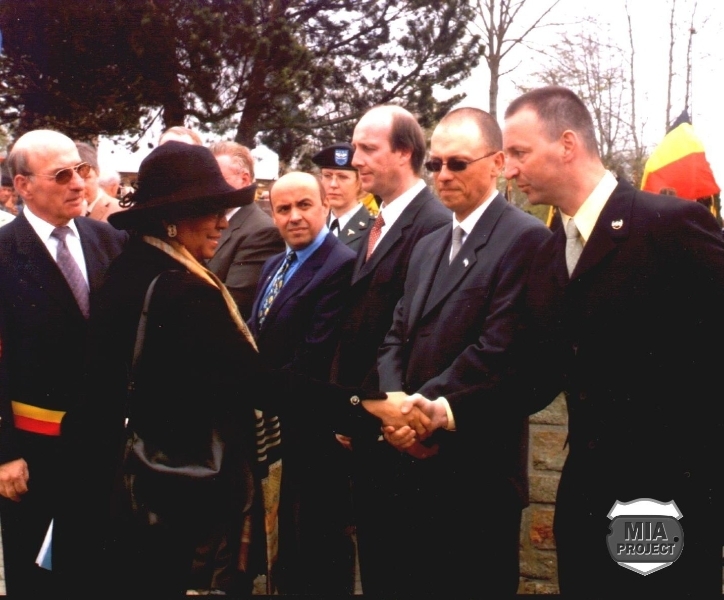 Although smaller in scale, the ceremony followed the same pattern as the ceremony for Fidler, Larson, and Zimmerman. The highest ranking attendee was the Chargé d’Affaires from the U.S. Embassy in Brussels. After the ceremony, Baldwin transported the remains to Landstuhl, Germany, and arranged for shipment to the Central Identification Laboratory in Hawaii. 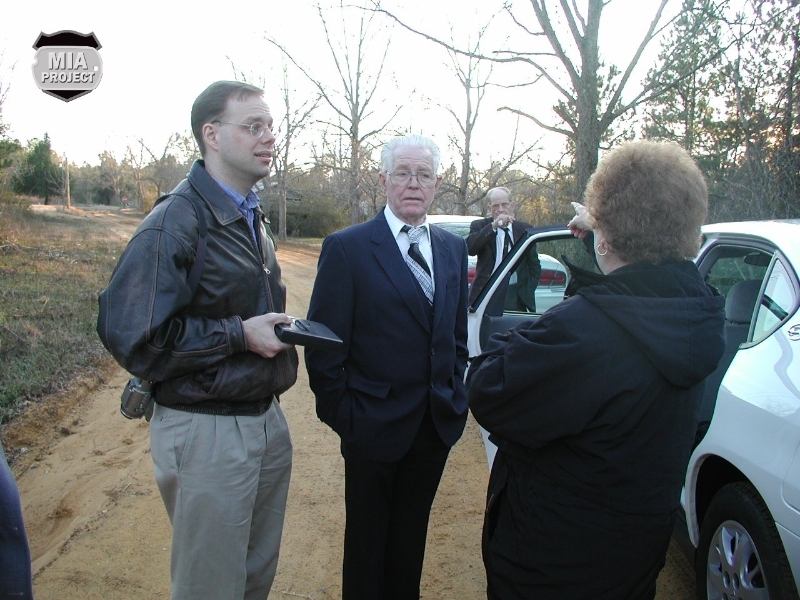 Months later, after the lab identified the remains, Odell’s brother, George, and sister, Mary, decided the funeral would take place on January 30, 2005, in Uvalda, Georgia. 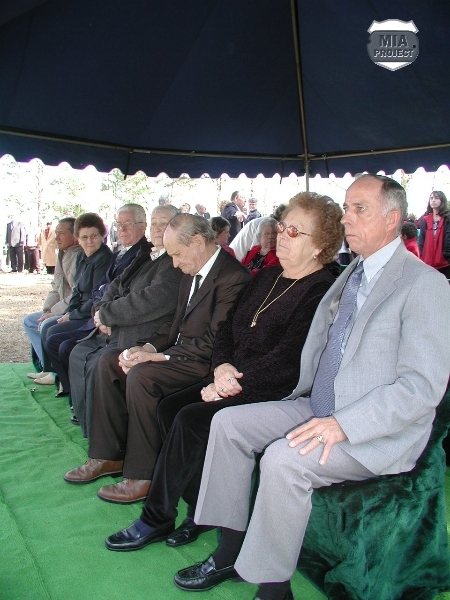 MIA Project members Seel, Swanson, and Warnock joined the family at the funeral home where the local Baptist preacher presided over the service. During the twenty-mile drive to Dead River Cemetery, cars and trucks pulled off the road and waited for the cortege to pass. 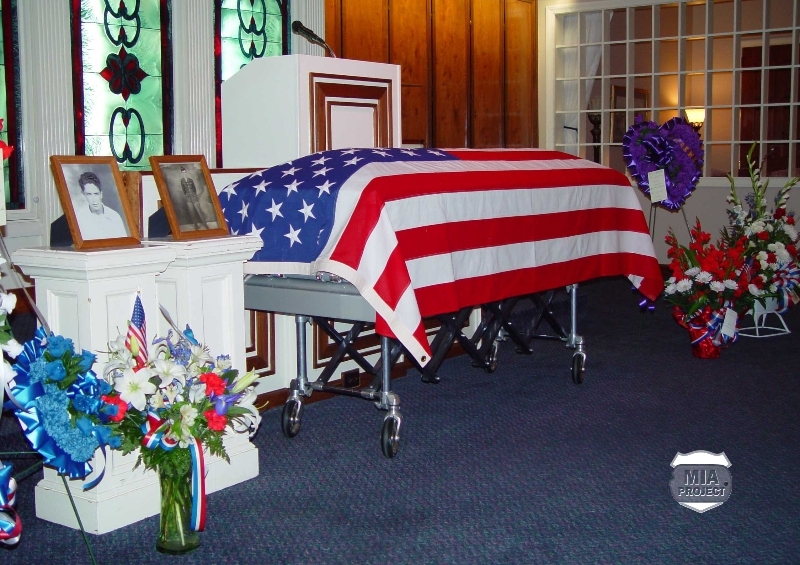 The funeral ended when George Sharpe received the folded casket flag. A weathered headstone stood nearby, and it bore Odell Sharpe’s name. 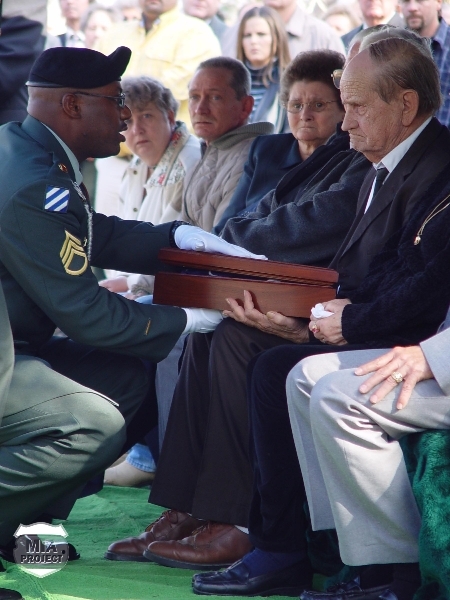 The Veterans Administration had provided it decades earlier as a memorial. 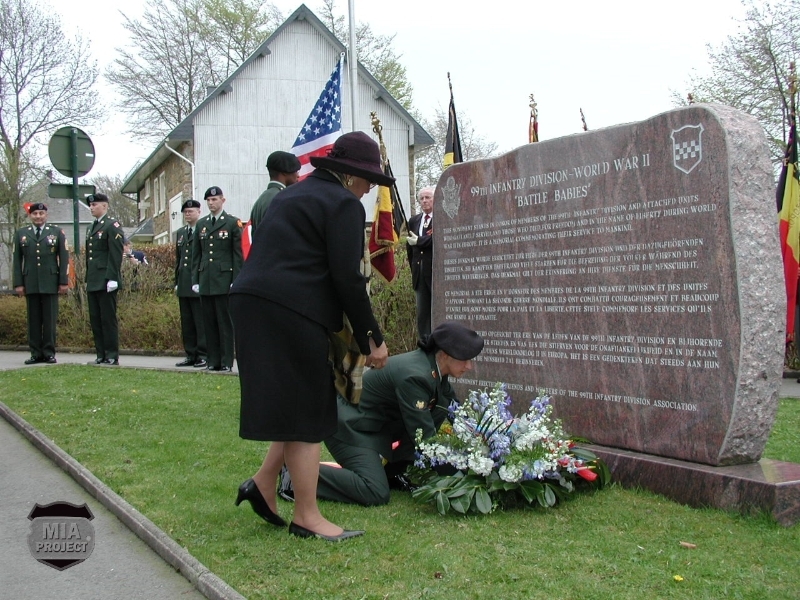 The stone unfortunately carried the wrong date of death, December 25, 1944.